This specialist meeting (workshop) is co-funded by two National Science Foundation (NSF) projects (#1416509, IBSS: Spatiotemporal Modeling of Human Dynamics Across Social Media and Social Networks and #1028177, CDI-Type II: Mapping Cyberspace to Realspace: Visualizing and Understanding the Spatiotemporal Dynamics of Global Diffusion of Ideas and the Semantic Web). The goal of this workshop is to foster the multidisciplinary collaboration in related research disciplines, including geography, linguistics, computer science, political science, public health, and communication. 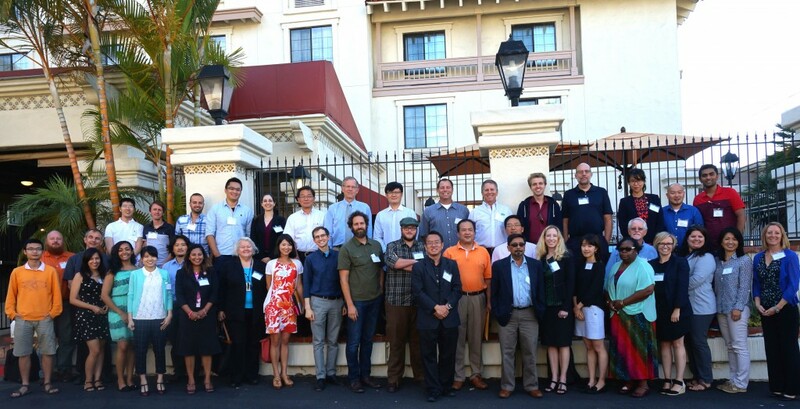 The two-day workshop (August 11 and August 12, 2015), organized by the Center for Human Dynamics in the Mobile Age (HDMA) at San Diego State University, will bring together over 30 specialists drawn from many disciplines. The workshop will assess the current state of the art technologies and tools, identify and prioritize a research agenda, and begin the development of a research community of collaborating scholars working on these big data and social media issues. What are the unique characteristics of big data and social media in the context of hyperlocal human dynamics? How can we analyze non-normal probability distributions and dynamic patterns of big data, social media, and social networks from a spatiotemporal perspective? What type of innovative research frameworks can help us to collect, analyze, visualize and predict hyperlocal human dynamics using social media and big data? What are the limitations of traditional GIS database and spatial statistics in analyzing big data and social media? To what extent, and how, should theory and/or hypothesis-testing drive big data, or big data drive theory--what is the role of theory in relation to big data? To what extent can social network analyses yield (dis)confirming results in regard to theory? Given time-series and potential nonlinearity of spatial data (big data), what statistical methods, measures or statistics can be developed and/or used to "dig out" the space-time pattern(s) in human dynamics, and describe/characterize/explain/predict such patterns? The workshop participants will be invited by the CDI and IBSS project PI and Co-PIs. The NSF projects will cover participants’ travel and lodging costs (but no stipends). Invitees are required to submit a two page resume (biosketch, NSF style) and a two page position papers for related topics.